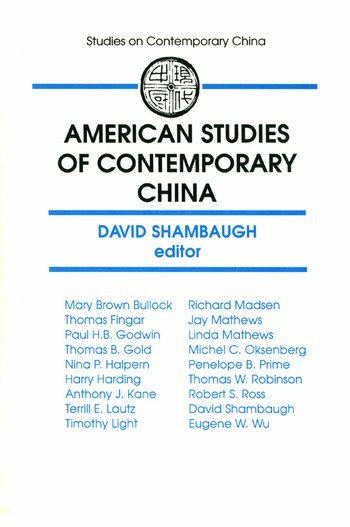 Examines the historical evolution of contemporary China studies in the United States, reflecting the growth and maturation of the field since the Communist Party seized power in 1949. Although scholars have devoted much attention to the impact of technology on society, they have tended to slight the question of how technology is affected by social systems. The authors of this volume take precisely this approach in their examination of the "Soviet model" of development. The book surveys the history and current state of science and technology in the USSR and its former satellites. It then looks at the economic environment for technological innovation and examines the impact of the "energy shock" in the transitional economies of the region. Finally, it discusses the ecological devastation of the USSR and Eastern Europe, its connection with the "Soviet model" and the prospects for remediation. The central argument of the book is that the cultural and social factors and the legacy of the Soviet model will inevitable figure in the reconstruction of the East.